These letters were written by Robert Henry Maury (1838-1870), the son of John Walker Maury (1809-1855) and Isabel Foyles (1813-1889). Robert was born in Washington D. C. where his father practiced law and served as the Mayor of Washington D. C. from 1852-1854. Robert attended the University of Virginia 1856-57. He was appointed Master, NLP (not in line of promotion), CS Navy, on February 3, 1862; he enlisted at Fredericksburg on 24 November 1862 in First Company of the Richmond Howitzers and was wounded at the Battle of Fredericksburg less than a month later. He was promoted to Ordnance Sergeant, Cabell’s Artillery Battalion, Army of Northern Virginia, in 1864, and served with them until he was paroled at Richmond on 15 April 1865. Robert married Elizabeth Lewis Greenhow (1842-1907). After the war, he became a lawyer and a land agent. He was one of the unfortunate victims killed when the floor of the second floor courtroom collapsed in the Capitol at Richmond on 27 April 1870. The courtroom was packed to hear the decision of the Court of Appeals in the Mayoralty case. Robert Henry Maury was named after his uncle by the same name, and after his father’s death in 1855, I believe that Robert went to live with his uncle’s family in Richmond. It is my opinion that this is how he came to take the name, “Jr.” — to distinguish himself from his uncle. Robert’s uncle (1816-1886) was a banker in Richmond and head of the firm R. H. Maury & Co dealing in real estate, railroads, coal and land speculation in West Virginia. I believe the “Puss” to whom Robert addressed these three letters was Sarah Maury (b. 1848), one of his Uncle Robert’s daughters. Another daughter, Isabelle Maury (b. 1846) — referred to as “Belle” in these letters — is known as the founder of the Museum of the Confederacy. Her father’s house stood on Clay Street, just two block’s from the Confederate White House. These letters indicate that Sarah Maury lived on Clay Street (see Maury’s signature on the first two letters). The First Company, Richmond Howitzers, spent the winter of 1863 at Morton’s Ford on the Rapidan River. To distract attention from a planned cavalry-infantry raid up the Virginia Peninsula on Richmond, the Union Army of the Potomac forced several crossings of the Rapidan River on February 6, 1864. 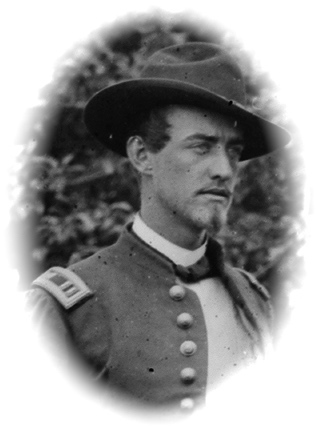 Units of the II Corps under Maj. Gen. John C. Caldwell crossed at Morton’s Ford, the I Corps at Raccoon Ford, and Union cavalry at Robertson’s Ford. 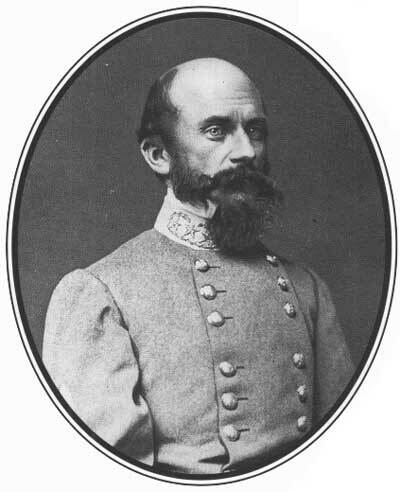 Confederate Lt. Gen. Richard S. Ewell’s Corps of the Army of Northern Virginia resisted the crossings, with sporadic fighting and the most severe fighting at Morton’s Ford. By February 7, 1864, the attacks had stalled, and the Union army withdrew during the night, with the results of the battle inconclusive. Your letter of the 5th inst. reached me but a day or two ago & must thank you for the great magnanimity you have displayed in writing me after the horrid treatment you have received at my hands. You say that I “would have written to you long ago had I been very anxious to hear from you.” Now, my dear Puss, how could you have been guilty of such an unjust remark after the many unmistakeable evidences of my deep affection for you? I am sure you do not express the feelings of your heart but of your head, and in a sudden ebullition of passion you expressed yourself in the above manner. I doubt not that you are now sorry for it & are willing to make amends for the great injury done me. I excuse you, my dear, but be careful not to bring such rash charges against a fellow in future. Puss, I have most dreadful news to tell you but hope you will not allow yourself to be troubled thereby. Last night orders were received suspending furloughs temporarily on account of the seizure of the railroads in North Carolina by the quartermaster for the transportation of supplies to the army. Should the necessity be of short duration, of course, furloughs will be again issued, but I’m afraid these wretched quartermasters will keep possession of the roads till the campaign opens when, of course, there will be a general revocation of leaves. However, I shall hope on for a little while longer. Ulric Dahlgren — “a vile little wretch,” according to R.H.M. I am glad to know from your letter of the well being of Pills. How does the boy manage to dodge the conscript gatherers? He is an artful dodger, to be sure, who can now manage to keep clear of them. I should have liked very much to be present at your party. It has been pronounced on all sides the most brilliant one of the season & this only adds to my regrets at not being there. I hope, however, to be on hand at the next one and that it may be very soon & in celebration of the notification of peace also. I suppose the excitement in Richmond occasioned by the raid [see Dahlgren Affair] has long since subsided. Young [Ulric] Dahlgren who commanded the devils was, I am sorry to say, an old acquaintance & schoolmate of mine. He was always a vile little wretch & I am not at all surprised that he should have undertaken such a villainous plot. The misery & desolation he sought to bring upon our people have recoiled upon himself & he has fallen “with all his imperfections on his head.” He has a brother, by name Charley, who has not as yet become notorious but I should not be surprised to hear of his extinguishing himself in the same way, as he was quite as much of a villain as his brother. You say you have recently heard from “Britch” & that he is at the Narrows still. I’m glad to hear that he is well. Give my love to him when you write. This is Sunday and the most beautiful day too. This morning I rode over to church at Gen. [Richard S.] Ewell’s house. He occupies Mr. Jerry Morton’s old residence, you know. Saw the general, his wife, & step-daughter Miss [Harriet] Brown. ² The latter is quite a bewitching little creature & as smart as two steel traps. I have not yet made her acquaintance but do not doubt that I shall if we remain here very much longer for all the officers at headquarters are quite intimate there. ¹ Henry Coalter Cabell (1820-1889) of Richmond was the commander of a battalion of artillery and later served as commander of artillery in Lafayette McLaw’s Division of the Army of Northern Virginia. ² Harriet Brown married Thomas T. Turner (1842-1897) who served as an aide-de-camp on Ewell’s staff. They were married in October 1865. Harriet was the daughter of Lizinka Campbell Brown, Ewell’s cousin, whom he married in May 1863. Yours of the 26th ult. was received by John, the cook, [Sergeant John Esten Cooke] several days ago & I should have replied before but for the seizure of the railroad by the government for transportation of troops which has had the effect of stopping all communication with Richmond. Indeed, we have not been able to get hold of a newspaper for three days. Hard and continual fighting has been going on back to the right & left of us here for several days past but we have had no information as to the result except by rumor. Today there has been considerable fighting at Petersburg & we hear that our troops have been successful & have taken over 2,000 prisoners. On the north side we hear the enemy has been beaten back and there is another rumor this evening that Early has driven the Yanks beyond Harrisonburg [Harrisburg, PA]. It was reported here on Thursday last that cousin Jack had been killed in the fight near Chaffin’s Bluff but as there has been no confirmation of it, I hope it is not so. The weather has been very cold & rainy with us for the past day or two but as I am comfortably quartered in the parlor of the “Dunn House,” I am not much inconvenienced by the weather. I have been as busy as a bee for several days past — doing what? With pick & spade digging out to strengthen our fortifications. Yes, Puss, for six hours every day during the past week I have been in the trenches working like a ditcher. On Thursday night after having worked all day with pick & spade, thirty of us were detailed to work on a breastwork down on our picket line & about one mile from here. About two o’clock in the night our party were relieved for a time by others and off we started, each one to as soft a spot in the woods as he could find to rest ourselves. Your humble servant fell asleep & when he awoke, presto change! everybody had gone & he found himself all alone & involved in total darkness. Here I was in a fix as I thought, but luckily after stumbling about in the woods to find my way back, I came across our pickets who put me on the road back to the house. Off I started at a double quick & arrived at the Dunn House safely about daybreak, much to the amusement of my friends who all the while had been wondering what had become of me. Next time I start on such an expedition I shall make arrangements for someone to wake me when I take a nap. Twas glad to hear of the safe arrival of my valise & am greatly obliged to you & Bill for looking over my garments. There was, I believe, a pair of boots among my things. They are a valuable article & I would be obliged to you if will see that they are put away in some secure place where the general can’t get hold of them. My winter underclothing I think needs mending & I will rely on you to have them in good order by time I call for them. You had the impudence to assert, I am informed by Lem, that I had not answered your letter, and I take this occasion to say, Miss, that according to the best of my knowledge & belief, you have not written to me since I last saw you. I believe you are perfectly well aware of that fact, Miss, & that you practice this deception on me to escape the exertion which writing a letter would require. You are a lazy creature, Puss, & I believe the older you grow the more aggravated your case becomes. But I hardly thought that you — the artless, innocent, harmless little dove — would be guilty of a fraudulent act. Promise me that you will not do so again & I will not tell on you. We had a gay time of it here last night. Col. Flowery [Charles C. Flowerree, commander of the 7th Virginia Infantry] and several other officers of the room adjoining ours ordered their band (7th Va.) for a dance. Our room (the parlour) was cleared of every article of furniture so as to give the widest possible scope to the dancers. Everything arranged, the band struck up some of the liveliest airs and every fellow began to shake his foot after the most modern plantation style. Occasional solo jigs were indulged in during the evening, but cotillions, mazurkas, & waltzes seemed to predominate. The affair was altogether most brilliant & but for the absence of the fair ones, I might be able to indulge in a little poetic allusion about “fair women & brave men,” &C. &c. a la [Lord] Byron. I danced until I became well night exhausted. Just to think of it, I was engaged for four or five sets ahead. You may laugh but it is more than you can boast of with all your loveliness. Tonight another ball is to be given in honor of Trav[ers Daniel] Moncure ¹ who was elected Jr. 2nd Lt. today to fill vacancy occasioned by the retirement of Henry [S.] Williams. The former will be a great belle tonight. He is already engaged for twenty sets. I have the very great honor of dancing first set with him, having secured it by application to the distinguished officer-elect immediately after the result was made known for election passed off very good harmoniously. Pole [Napoleon Bonaparte] Binford had the honor of nominating me but I most respectfully declined in favor of those who had stronger claims. Moncure is a tip-top fellow — in other words, a perfect brick — and I am glad he was elected. It is now getting dark & I must “hang my close on this line” as per Andrew Coyle used to say. Give much love to Aunt W. _____, Belle, Wm., General, & everybody & with a kiss for yourself I subscribe myself your sweet cousin. — R. H. Maury, Jr.
¹ Travis D. Moncure (1839-Aft1900) joined the Richmond Howitzers after the Battle of Gettysburg and was promoted to 2nd Lieutenant in November 1864.